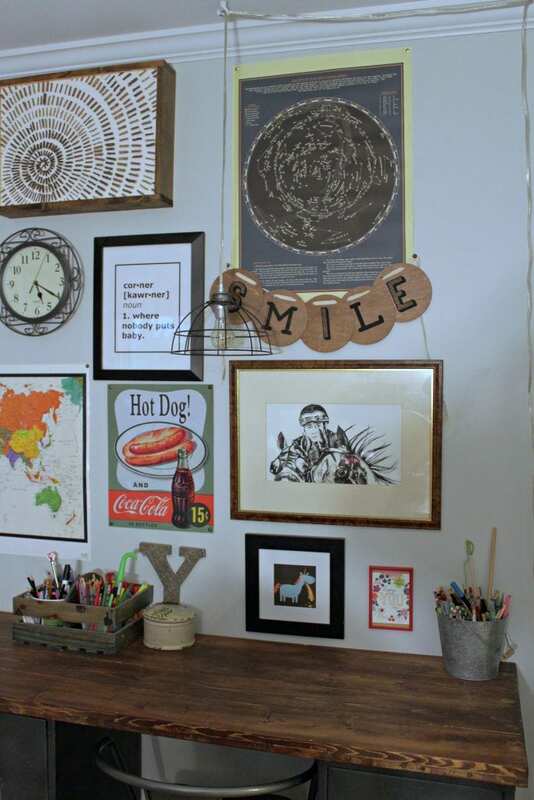 Beyond sharing a fun DIY twig wall art project that hangs in the room, our home office has yet to make an appearance on the blog. The reason? I am not a clean desk/office person! There, it’s out there. Wait, you too? Whew, I don’t feel so bad then. Luckily, I recently caught the cleaning bug and can finally share my File Cabinet Desk DIY project. 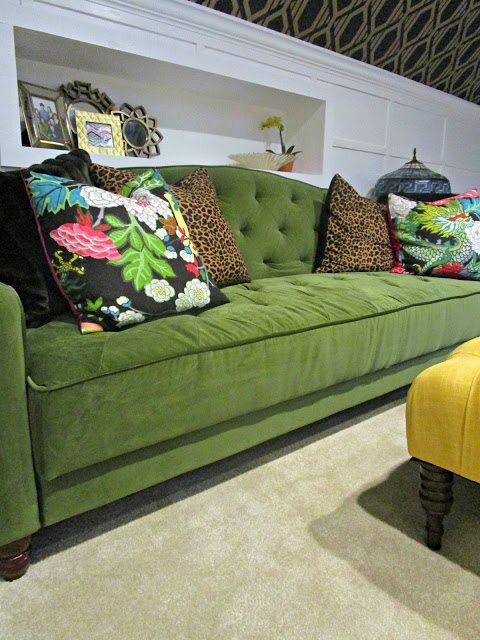 It’s been a while since I took on a furniture makeover project – too long really! 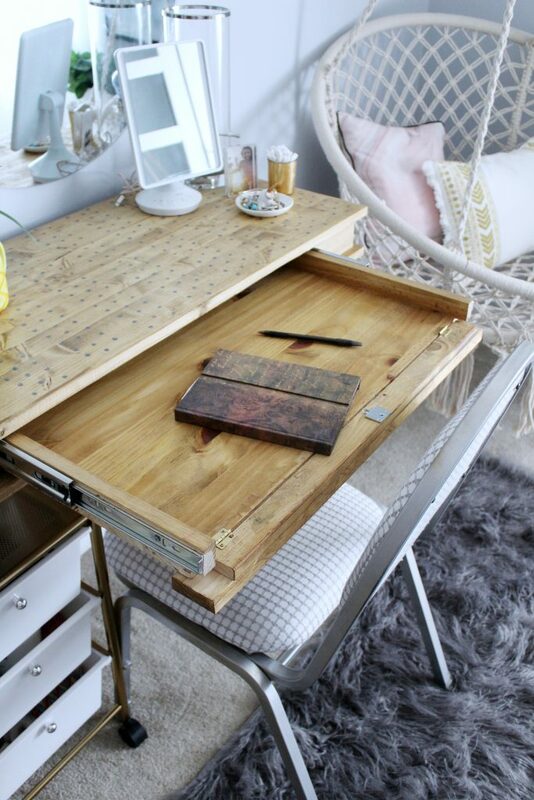 But like the other furniture DIYS before I’m so happy with how this inexpensive DIY desk turned out. Our entire family uses this room (when we can find the desk), but with only one work area and five family members at home, we were in need of some additional desk space, specifically one where multiple kids could work on their homework at the same time. Being that I’m what you’d say.. frugal? (AKA: I was broke!) 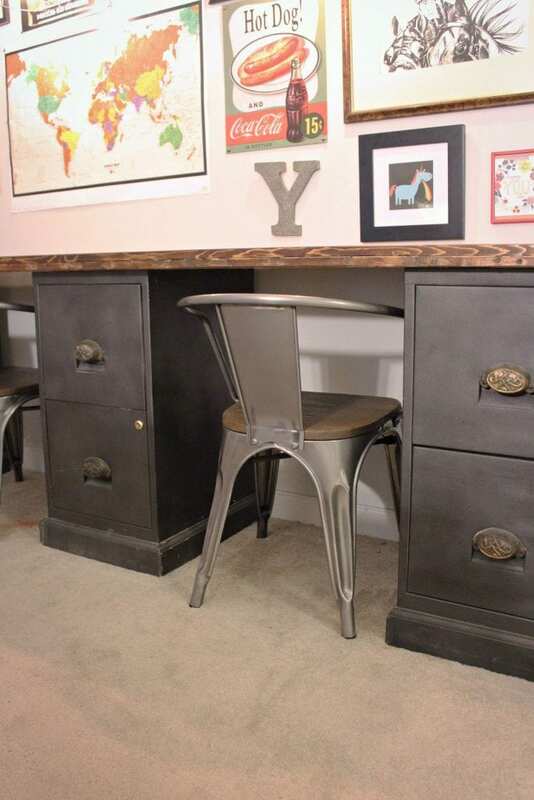 I came up with a cheap customized solution – A File Cabinet Desk DIY! 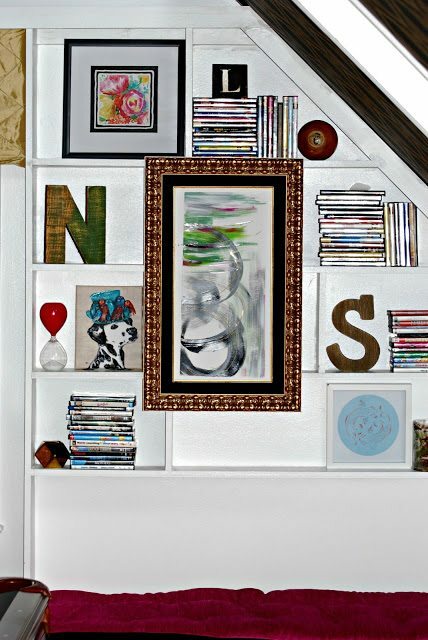 This project is easy for beginners and those with more DIY experience alike, is relatively inexpensive, and entirely customizable for your room – which in my case means it can accommodate a bazillion kids! 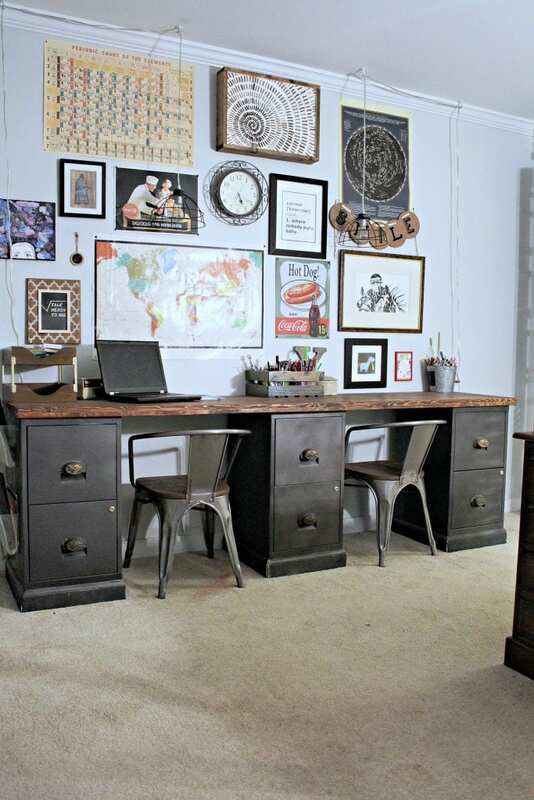 The super short how to: I made this desk from three metal filing cabinets that I picked up at the thrift store and a simple DIY wood desktop out of pine boards stained with walnut. But, I bet you’re you looking for more detail? I’ve got you covered! Read on! Electric Drill – this is the set we have and LOVE! 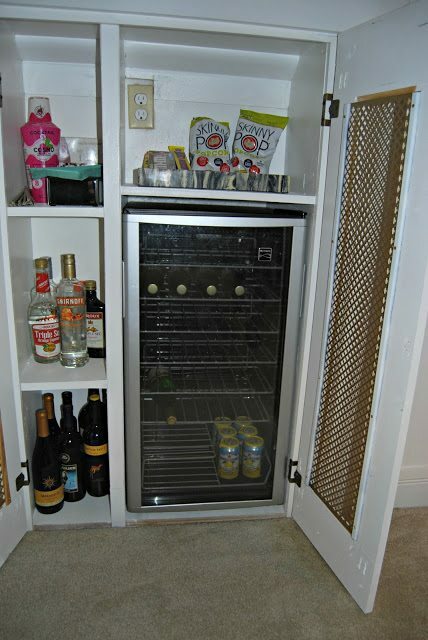 Give each cabinet a thorough cleaning using TSP and a wire brush, being sure to remove any loose paint. 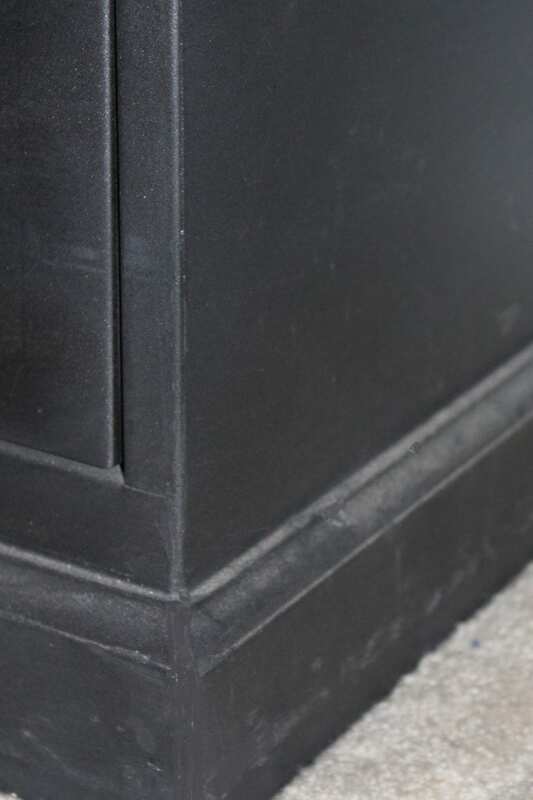 Cut the baseboard trim to fit at the bottom of the file cabinet with corner pieces meeting at 45° angle corners. Pre-drill and countersink holes on each piece of trim. 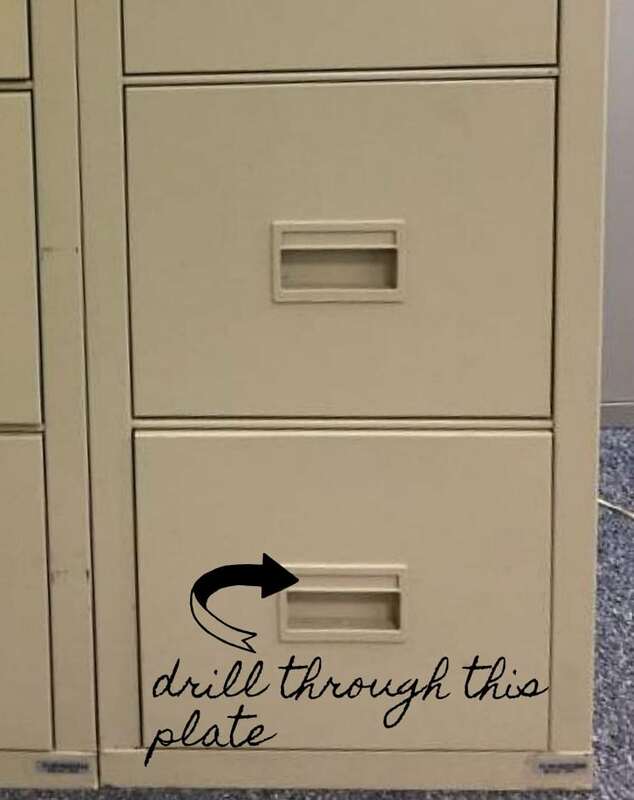 Line up and pre-drill holes into the file cabinet. Attach the trim to the cabinet using liquid nails and bolts securing with a nut on the underside of the cabinet. Fill holes and corner seams with wood filler, allow to dry, then sand smooth. 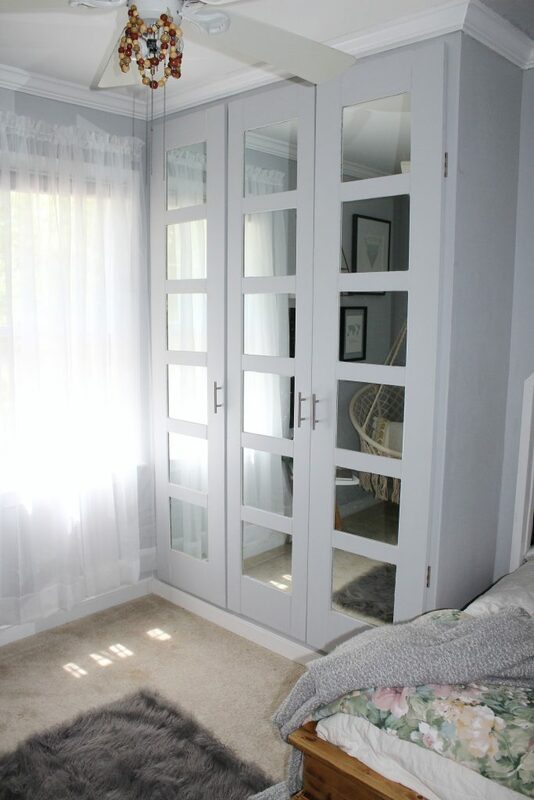 Paint each cabinet, including trim, with flat black to coat – two coats will likely be needed. Follow the flat black with a light, sweeping coat of metallic gunmetal gray, giving just enough coverage to create a metallic sheen. When dry then follow up with clear lacquer in a matte finish. Some cabinets have a handle rather than a pull. In that case, remove the existing handles and replace them with new ones – a chunky cup pull was perfect for this project! I was not that lucky and had to follow a few more steps to change the hardware. You’ll likely have a built-in plastic handle such as this one above – measure the holes from your handles and carefully drill holes through the plate. 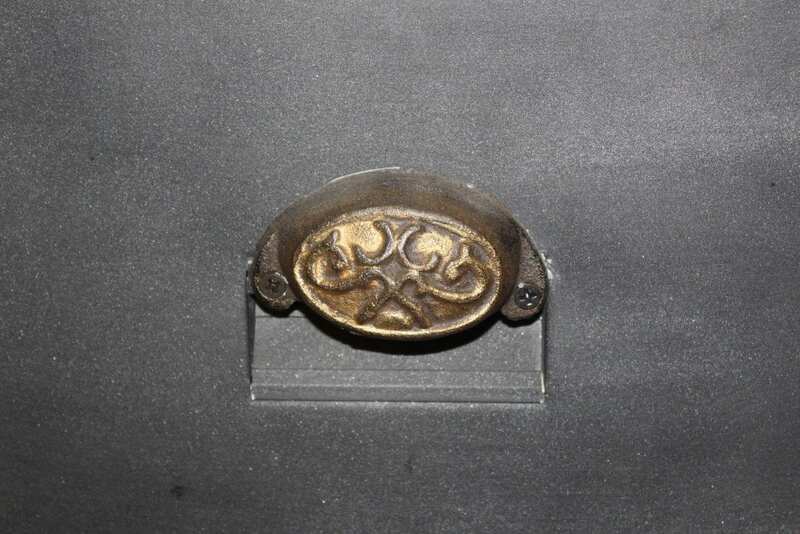 Attach your new drawer pulls over the plate and secure. My desktop is 8′ feet long and 23″ wide, which meant no cuts for the desktop boards. For an area larger or smaller than that, adjust the size of your boards and cut them to the correct length before starting. I cut 20 sections from the furring strips at 18.75″ long, saving two 8′ furring strips for the front and back edges. 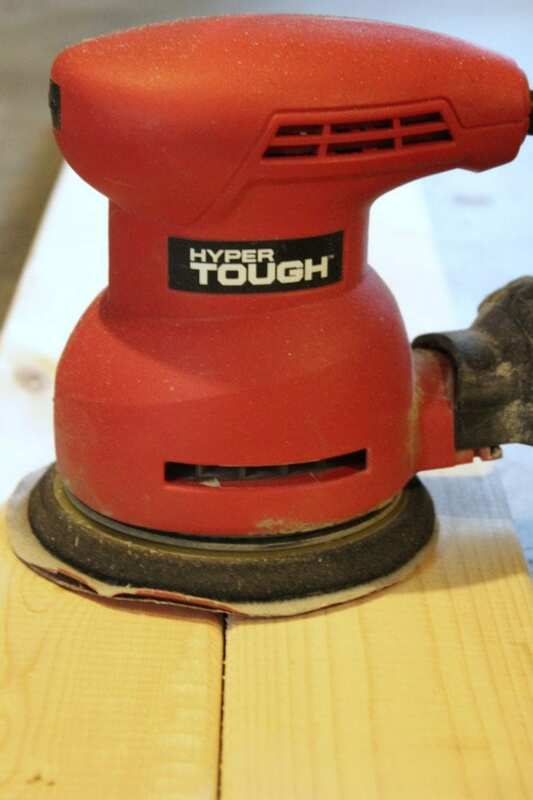 Give all of your cut sections a thorough sanding to smooth out the surface and remove any markings or ink stamps. I used an orbital palm sander for this step – I like this one a lot! 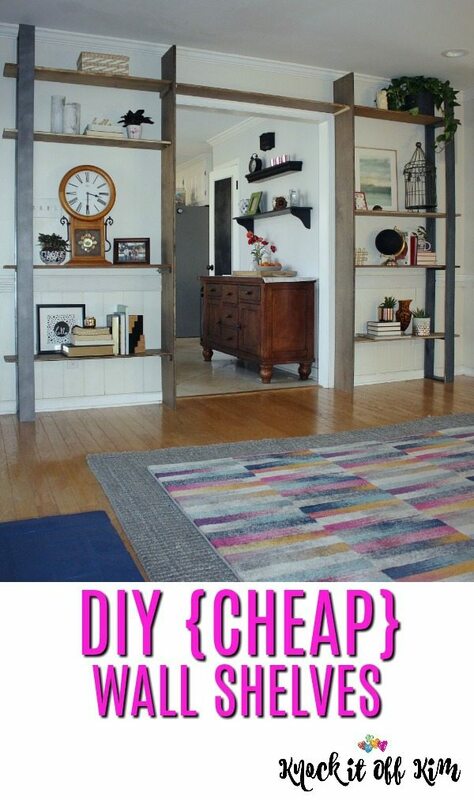 It’s not expensive, and it’s easy to use. 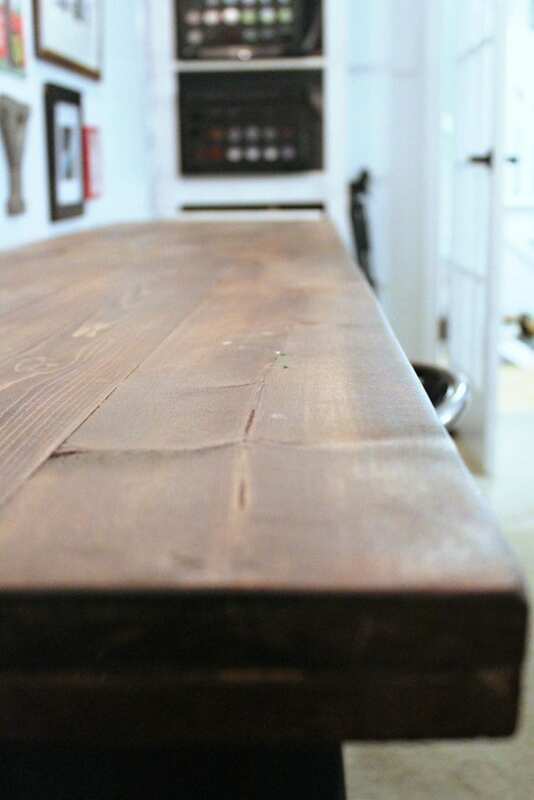 Young House Love and Lindsay Stephenson both have great tutorials on building a desktop and I was able to get some fabulous ideas from their DIY desk projects. Ultimately, though, I found my way of doing things if for no other reason than to keep costs down, and repeated the same process for the top of our dining room built-ins. I wanted my desktop to be relatively heavy and thick but found that giving the illusion of this was a little easier on my pocketbook than buying a thicker cut of wood. Hardwoods can be expensive y’all! To beef up the 1″x6″s, I first created a frame from the furring strips and support pieces I had cut. 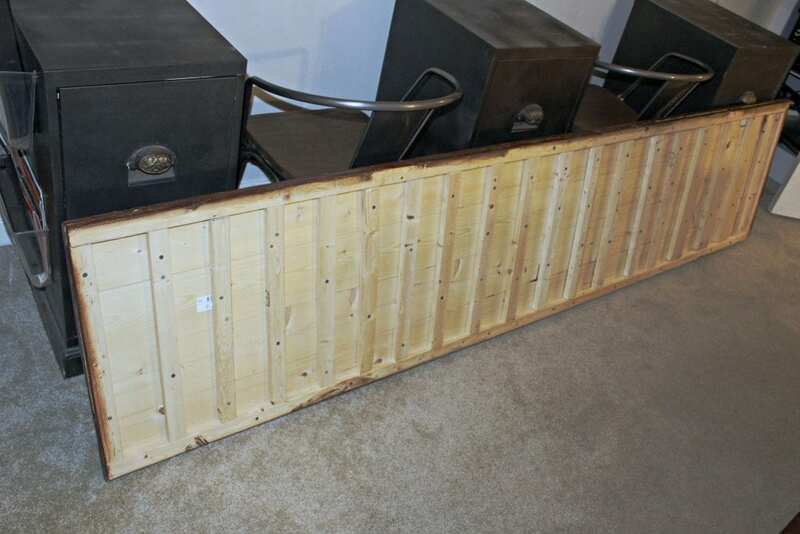 The frame consisted of the 20 support pieces, evenly spaced, then sandwiched between two 8′ furring strips, secured together with glue and wood screws. The planks were then secured to the top of the frame using countersunk wood screws. 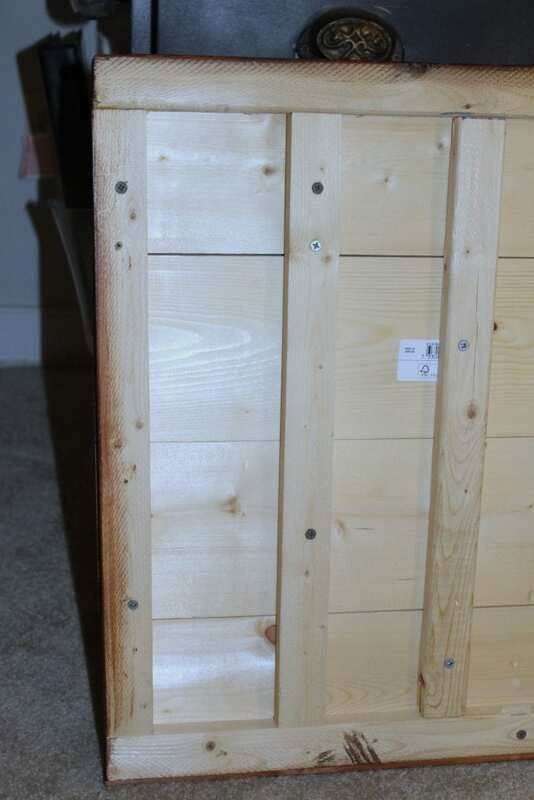 Fill all holes with wood filler – sand when dry. Pre-condition the desktop wood before applying your stain. After it dries, you can apply your stain. I went with a dark walnut to match the bankers’ desk in the room. 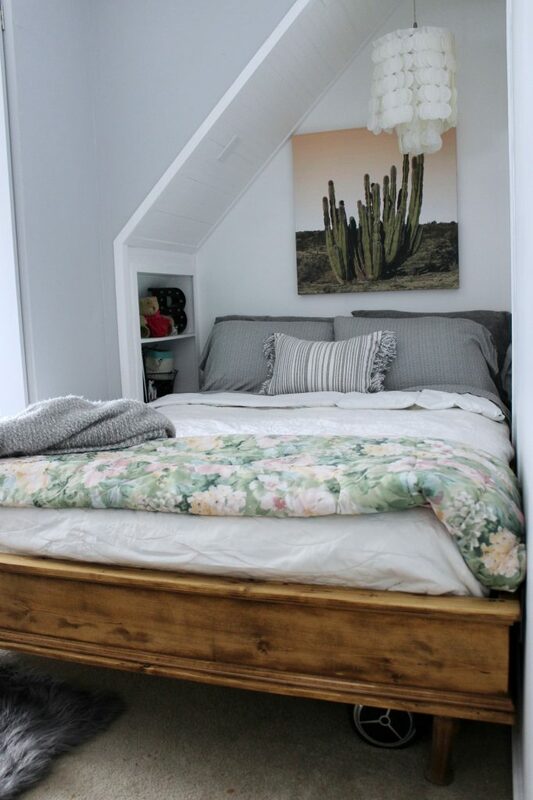 To apply, use a brush recommended for stain or, use my favorite method – wearing rubber gloves, apply the stain using an old (lint free and clean) sock, working the stain in a circular motion. Once you have good coverage, remove any excess stain with a lint-free cloth. Let dry. After a light sanding, apply your polyacrylic finish of choice following the manufacturer’s instructions. This will protect your top and also give the stain depth and richness. 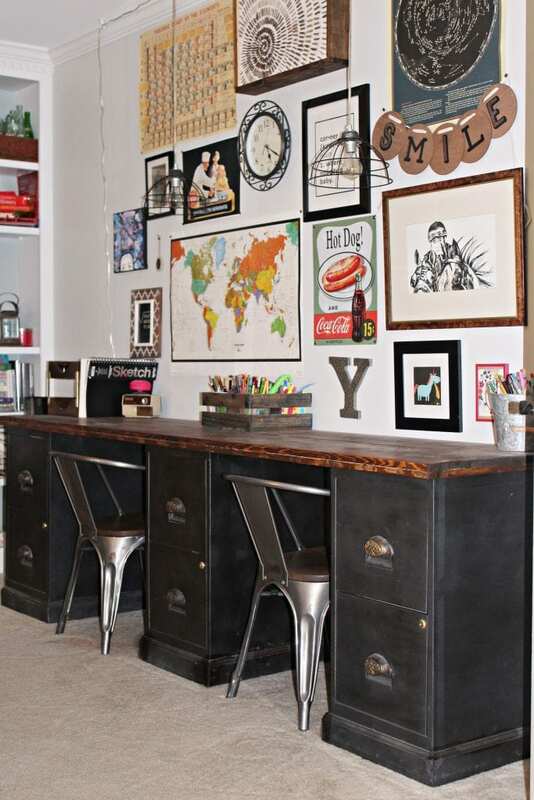 To assemble your DIY Desk, space your file cabinets evenly and lay the DIY desktop on top of the cabinets. 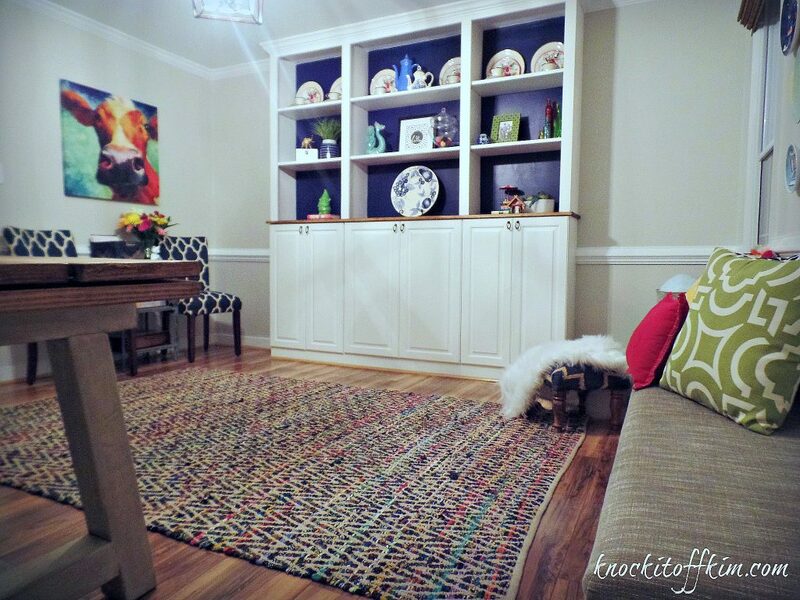 I centered the middle cabinet and placed the left and right cabinets 24″ apart, leaving a generous opening for a desk chair. 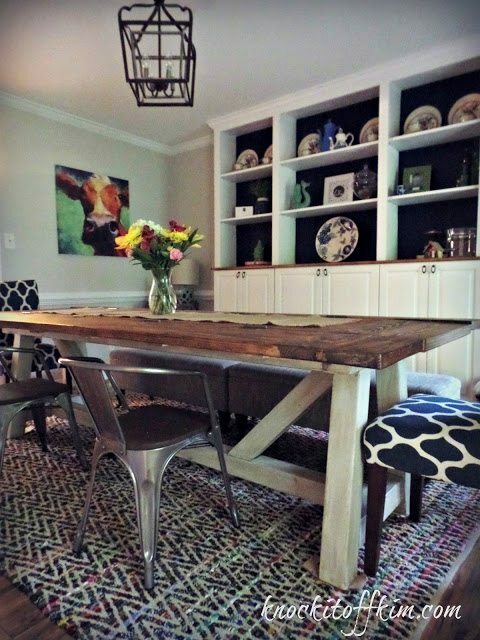 Allow 24″ between pedestals for ample seating room. And, here it is all styled up and pretty! 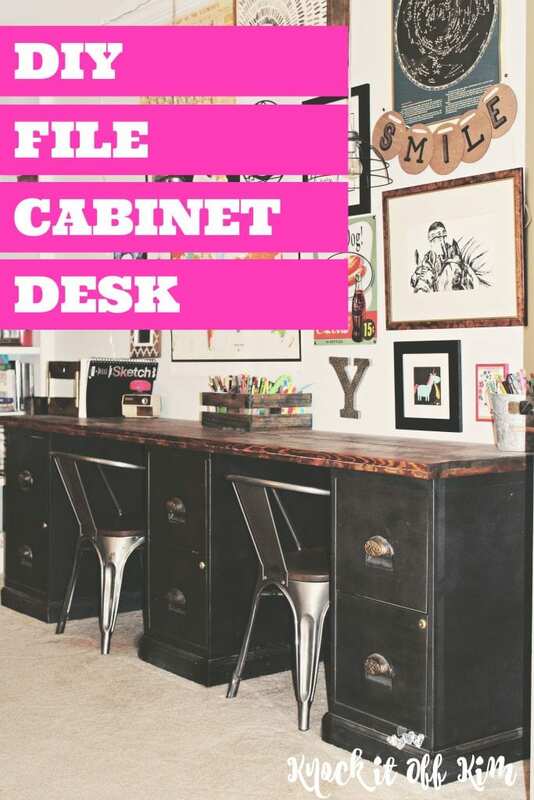 I’m in love with our File Cabinet Desk DIY. With any luck, I’ll be able to keep this desk clean. What? A girl can wish! 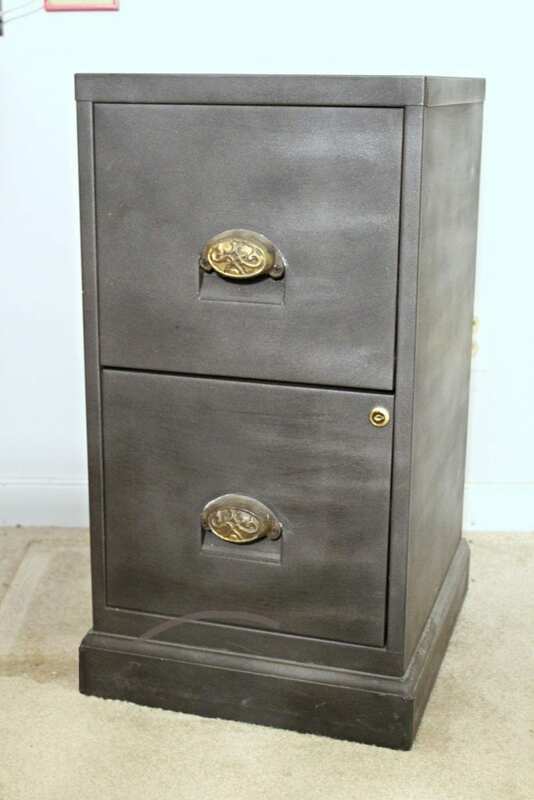 I hope I’ve inspired you to take on building your own customized DIY file cabinet desk solution, and please, let me know if I can answer any questions or help with your project. If you like this post, I would really appreciate your sharing it with others by pinning it! Thanks! This post contains affiliate links, which means that I make a commission when a sale is made by clicking on the link, at no additional cost to you. I value you and your trust and only recommend products and brands that I truly love! I love this! It looks awesome, thanks for sharing.